Our game-changing fibre wads are designed and made to deliver reliable, predictable performance, so that you can track and hit the toughest targets with confidence. 0.05 mm cutting tolerances produce a class-leading gas seal, which ensures propellant energy is transferred to the shot charge without leakages that damage ballistic performance and consistency. Independent ballistic test results from Birmingham Proof House highlight the superiority of Envirowad fibre wads. They performed 25% more consistently than their main fibre rivals. All of which means that when you take your best shot, our fibre wads will not get in the way. Envirowad’s unique fibres compress to transfer energy through the cartridge more smoothly, further enhancing the seal and reducing recoil. This ‘shock absorber’ effect, combined with our unique wax lubricants, significantly reduce the physical stresses you face on a long day’s shoot. We work closely with cartridge manufacturers to develop the fibre type, density and lubrication required to match their desired ballistic characteristics. We developed our fibre specifically for ballistic applications and produce it in our own paper mill. Our technical teams formulate the fibre wads to manufacturers’ exacting specifications, before precision cutting the material using Vanadium alloy tipped cutters. Envirowad is a truly bio-degradable cellulose fibre wad. There are no plastic film reinforcements or chemical bindings, such as commonly used bitumen, to pollute the land or harm animals – and once fired, the wads breakdown rapidly and in full within a few months. Envirowad’s proprietary materials and technologies have evolved over a long history of supplying the British shooting industry with high quality wads. All design and development, manufacturing and technical operations are based in Britain and we are owned and run by shooting enthusiasts. 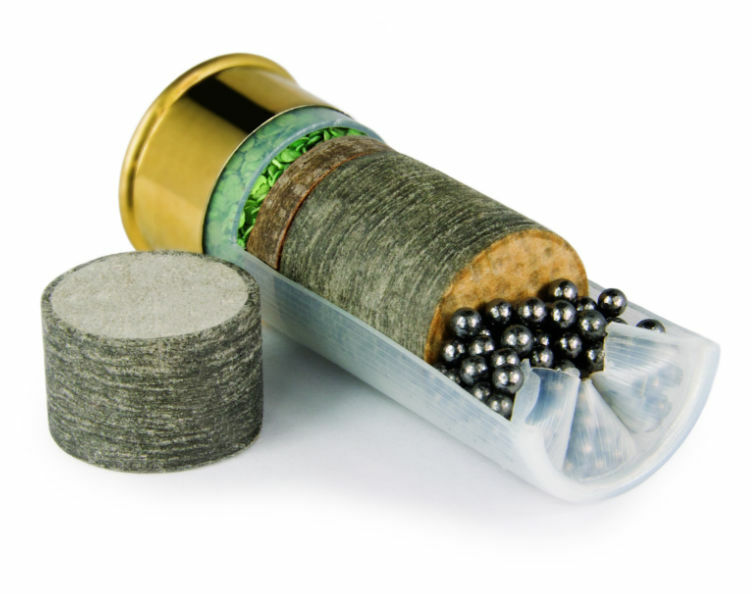 Our fibre formulations have been specifically developed to perform in shotgun cartridges. On firing, the propellant used in the cartridge ignites and the resulting energy is channelled forward to the shot charge. Envirowad wads are made from proprietary fibres that produce class-leading obduration. That is, the degree to which the wad will squash and spring back when force is applied to it longitudinally. Envirowad represents something long sought in the wad world: a precision-made product that delivers class-leading performance – allowing you to enjoy the countryside without polluting it.